A firm family favourite in the summer or winter months. Recommended for 3-4 portion. 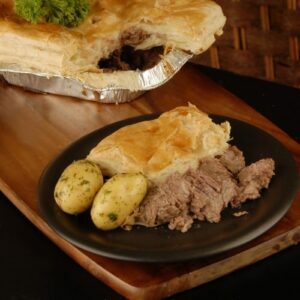 Our own make stew and gravy with a light buttery puff pastry. Walkers Shortbread fingers based on an age old recipe.